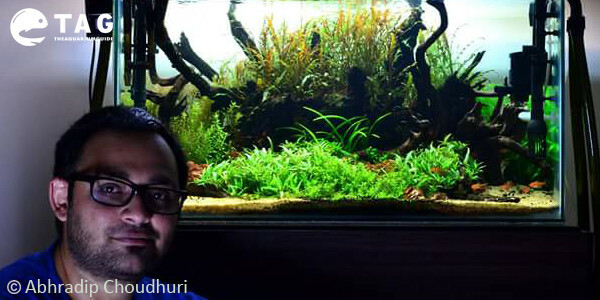 My name is Abhradip Choudhuri, but few might know me from international forums as zico_aqua. I work for one of the largest IT organization in India as a Project Manager and as the Global Revenue Manager. 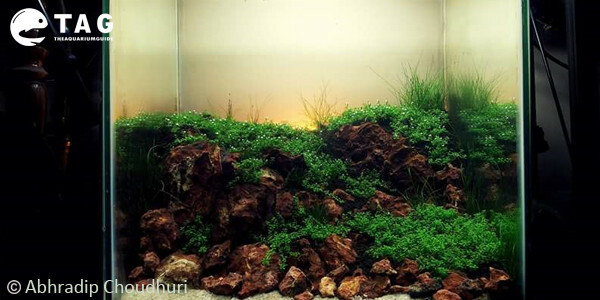 When did you first start aquascaping? 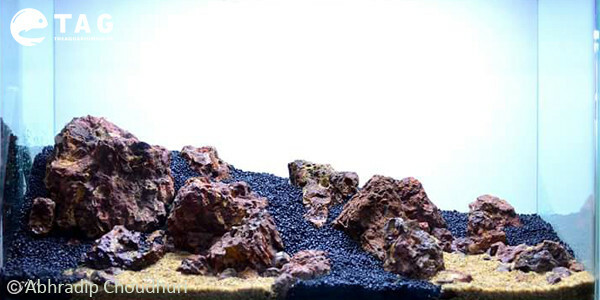 I am a more recent aquascaper; I started the hobby a few years back, around mid-2011 to be precise. Prior to that, I was predominantly a fish keeper in my childhood with a few locally available plants from ponds, though at that young age I was not aware of how plants grew under water. 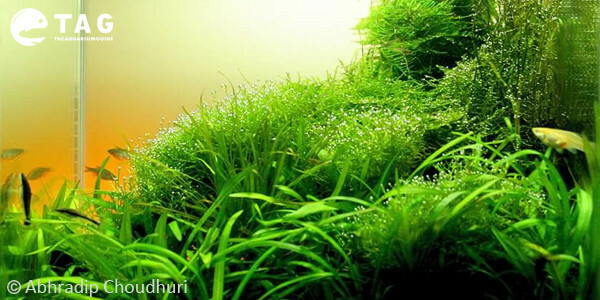 I actually have two favorites, one primarily being Nature Aquarium – Mr. Amano taught the world how to amalgamate hardscape with plants; my second favorite is the age-old Dutch style, which teaches anyone who wants to jump into the planted side to first plant/observe/learn how a plant grows then learn the art of modern aquascaping. Nature is my inspiration, but a few other avenues influence me as well, namely my wife who is a brilliant landscape photographer and photographs natural settings, which she intends to see in one of my scapes. Also, at times I refer to a website named deviantart.com and look for inspiration there from paintings by extremely talented artists whose imagination of nature via their skill inspires me as well. I specifically don’t like pointing my finger to a specific plant species, but in general, almost all carpet plants are a preference of mine. The mere carpeting effect opens up so many avenues and concepts to idealize a scape—it is truly mind-blowing. Since I love plants more than fish, I do not have a specific species that I would denote as my favorite. 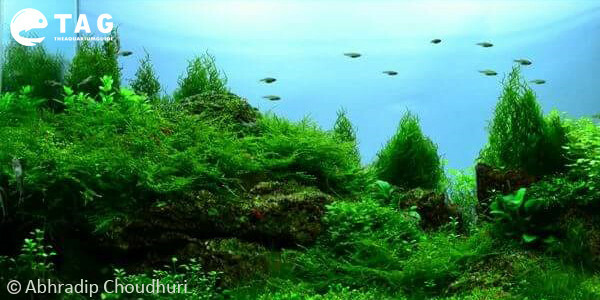 For me, fish are for the family to enjoy with the tank as an added element to enhance the effects of landscape. My present aquarium setup is an approach in which I wanted to get back to basics; it is a lush aquascape made with the classic advice of the late Amano san and orthodox approach of Oliver Knott who showed the world and beyond how to bring a piece of nature home in a glass box and to go out of line to create something genius. The basic concept of the tank is an island style with a bit of twist of my own, since I consider everyone who is in the hobby to have his or her unique idea of a tank. 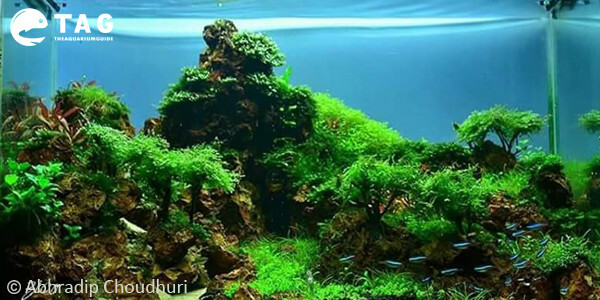 Aquascaping, as a concept, is quite popular here in India now with a major concentration of folks from South India (mostly Bangalore, Chennai, and Hyderabad), Eastern India (majorly Kolkata), North India (mostly Delhi), and a bit in Mumbai. It wasn’t as popular 3-4 years ago, but with the onset of Indian icons such as Sreeram T, Parthapratim Chakraborty, Debraj Ghosh and many more gathering great feats in international contests such as IAPLC, AGA, etc., people have seen the horizon beyond a bit. 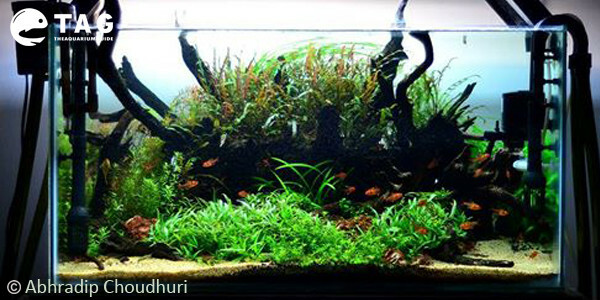 At the same time local contests conducted by ADA India, Aquapetz forum, and others are getting more and more people engaged in the hobby. I guess one can understand how popular it is now in India with the increase in the number of contest entries we have been seeing in IAPLC year after year. This year we had 230+ entries of which 2-3 entries were in top 200 ranking. 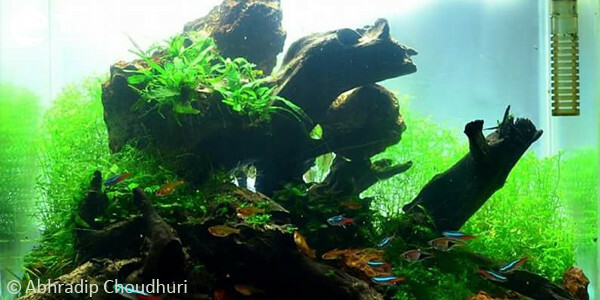 Once one masters that, an aquarium is a canvas of one’s imagination. As always, if you can amalgamate plants properly into any hardscape of your choice you will have your own masterpiece sitting at home. Last, but not least, enjoy the work you put in towards your tank and be open to learn from experts just like I learn every day from aquarium geniuses from across the globe. Please share with us your website etc. I don’t have a business portal nor a website, but I do have a Facebook page that I maintain when I get time from my very busy office and family life. 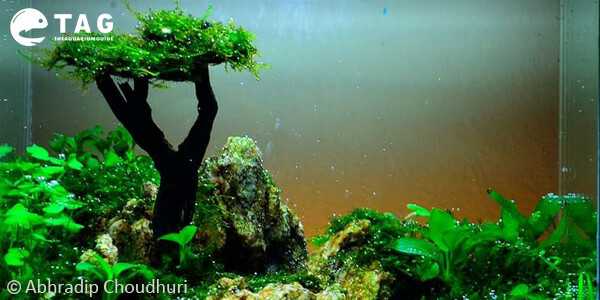 The aquascaping page that I am maintaining now is My Aquascaping World.